This article is about the men's association football team. For the women's association football club, see Sydney FC (W-League). For the AFL club, see Sydney Swans. Sydney Football Club /ˈsɪdni/ , commonly known as Sydney FC, is an Australian professional soccer club based in Sydney, New South Wales. It competes in the country's premier competition, the A-League, under licence from Football Federation Australia. The club has won three A-League Championships, three Premierships, one FFA Cup and won the Oceanian Champions League prior to Australia moving into the Asian Football Confederation. Prior to the 2018-19 A-League Season, the club's home ground was Allianz Stadium, a 45,500 seat rectangular multi-use venue in the suburb of Moore Park. With that stadium scheduled for demolition & rebuilding, the club will be playing at the Sydney Cricket Ground, Leichhardt Oval and Jubilee Oval for the next two seasons. Despite the club's migration, The SCG Trust agreed to renew Sydney FC's lease at Moore Park for a further 10 years on the 17 May 2017. As the only A-League team in the city for the first seven years of its existence, the club's fans hail from all across the Sydney Metropolitan Area. Since its establishment, Sydney FC has had a reputation for signing high-profile players. In doing so, they have received the nickname 'Bling FC' from fans and pundits alike. Notable players who have represented the club include Dwight Yorke, Juninho Paulista, John Aloisi, Brett Emerton, Lucas Neill, Marc Janko, Filip Hološko, Miloš Ninković, and Alessandro Del Piero. Moore Park is a small suburb located 3 kilometres (1.9 mi) southeast of the Sydney central business district, in the south-eastern suburbs of Sydney, in the state of New South Wales, Australia. It is part of local government area of the City of Sydney. The first steps towards the foundation of Sydney FC taken in April 2004 when Soccer New South Wales (now Football NSW) announced its intention to bid for a licence in the new A-League competition. The bid was lodged with the Australian Soccer Association (now Football Federation Australia) on 19 July, challenged only by a consortium headed by Nick Politis, known as the "Sydney Blues",  for Sydney's place in the 'one team per city' competition. A public row broke out between the two bidders after reports that the ASA were set to vote in favour of Sydney FC,  causing Politis to withdraw his support for a team,  and leaving Sydney FC as the only candidate remaining. Football NSW is the governing body for soccer in the Australian state of New South Wales with the exception of the northern regions of NSW. Football NSW is a member of the national governing body, the Football Federation Australia. Football NSW's premier football competition is the National Premier Leagues NSW. The premier futsal competition is the Futsal Premier League. 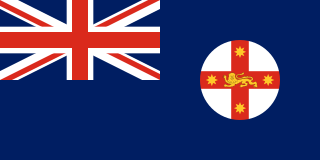 Prior to 1 April 2007, Football NSW was known as Soccer NSW. Nick Politis AM is an Australian businessman and Chairman of Sydney-based NRL team the Sydney Roosters. Alvin Warren Ceccoli is an Australian footballer who played for three A-League clubs and was capped internationally for Australia. Clint Brian Bolton is an Australian former goalkeeper. He was one of the most experienced goalkeepers in the history of the National Soccer League, which preceded the A-League. He played over 300 games for Brisbane Strikers, Sydney Olympic FC and Parramatta Power, and won two A-League championships with Sydney FC. Grahame Park, previously named Bluetongue Stadium due to sponsorship by Bluetongue Brewery, is a sports venue in Gosford, on the Central Coast of New South Wales, Australia. The stadium is home to the Central Coast Mariners association football club which compete in the A-League. The stadium also hosts rugby league and rugby union fixtures on an ad hoc basis as well as other major social events. Central Coast Mariners Football Club is an Australian professional soccer club based in Gosford, on the Central Coast of New South Wales. It competes in the A-League, under licence from Football Federation Australia (FFA). The Mariners were founded in 2004 and are one of the eight original A-League teams. It is the first professional sports club from the Gosford region to compete in a national competition. Despite being considered one of the smallest-market clubs in the league, the Central Coast Mariners have claimed one A-League Championship from four Grand Final appearances and topped the table to win the A-League Premiership twice. The club has also appeared in the AFC Champions League four times. Sydney FC's first season was ultimately a success. Finishing second on the ladder behind Adelaide United they went on to defeat Central Coast Mariners 1–0 in the 2006 A-League Grand Final with Steve Corica scoring in the second half of the game. However, the club's success wouldn't last long, with German manager Pierre Littbarski leaving the club due to being forced to accept a lower pay cheque  and inaugural marquee player Dwight Yorke being signed by Premier League club Sunderland. Former English international Terry Butcher was signed as Sydney FC's new coach for 2006–07. However it was regarded as an overall failure, with Sydney playing poor football despite the signing of Alex Brosque and Benito Carbone as a Guest player. Sydney also had 3 points deducted during the season, after it was found that they had breached the Salary cap, involving player David Zdrillic. Despite the off field problems, Sydney managed to scrape into the finals series, however they lost in the semi-final to Newcastle Jets. Although Butcher lead the club into the finals, Sydney fans were unhappy with his tactics. In the end Butcher and Sydney FC went their separate ways at the end of the season. Sydney FC would go on to sign Branko Čulina for its 2007 Asian Champions League campaign, where they finished second in the group, one point behind ultimate champions and J-League heavyweights Urawa Red Diamonds. Despite the ACL success, Sydney FC's start to the 2007–08 season was poor, and the club sacked him, replacing him with former Adelaide United manager John Kosmina. Sydney FC played well for the rest of the season but were knocked out in the finals by Brisbane Roar. Kosmina couldn't repeat the success of the previous season, replacing Brazilian international Juninho with Socceroos hero John Aloisi on a million dollar contract. The club also unveiled Newcastle Jets championship winners Mark Bridge and Stuart Musialik as well as Socceroo Simon Colosimo for the 2008–09 season. The season did not live up to expectations even with these key signings. Aloisi didn't perform very well during the season and came under heavy fire. So too did manager Kosmina, whose tactics were seen as controversial. His relationship with the media often became angry and frustrated which didn't help causes. Many players fell out of favour with the coach, including Steve Corica and Clint Bolton. For the first time in the club's history, they failed to make the play-offs. As a result Kosmina was fired when the new ownership of Russian billionaire David Traktovenko took over in March 2009. The fresh change at the club was about to bear fruit, when Sydney announced they had signed Czech Republic manager Vítězslav Lavička. Lavicka completely changed the structure of the club, and for its first time turning it into a serious, European style football club. He kept faith in Steve Corica and John Aloisi and several others who had threatened to walk out on the club, and as a result, Sydney FC won its first premiership in the club's history. Sydney made it to the Grand Final of the fifth season of the A-League after defeating Wellington Phoenix in the preliminary final. The Grand Final was played against Melbourne Victory at Etihad Stadium in Melbourne. Sydney took the lead after 61 minutes through a Mark Bridge header, just seconds after Melbourne had a goal disallowed for offside. Melbourne equalised through Adrian Leijer in the 81st minute, and the game went on to a penalty shootout with no goals scored in extra time. Melbourne skipper Kevin Muscat missed his penalty, with his shot hitting the post. Sydney FC won the Grand Final 4–2 on penalties which handed the club its second Hyundai A-League Championship. Sydney FC playing against the Newcastle Jets in October 2012. "This is huge for Sydney FC, huge for the A-League and huge for Australian football [sic]. We feel honoured that Alessandro has decided to play for Sydney FC and we share his excitement that a move to Sydney FC will create a lasting legacy for football in this country." After only six weeks into the regular season Sydney were forced to find a new coach with the shock resignation of Crook. He cited the role was "a constant burden" and was adversely affecting his health. Frank Farina was confirmed as Crook's successor for the season two games into Steve Corica's interim spell. During the January transfer window, Farina bolstered his defensive stocks with Socceroos captain Lucas Neill   and Brazilian Tiago Calvano  joining the team. The pair made nil significant impact and with a 3–1 loss away from home to Brisbane Roar, Sydney were unable to pick up a vital point that would have seen them play finals football, finishing seventh. The following season was significantly less successful, finishing seventh in the league despite the star power of marquee Filip Holosko, and Serbian playmaker Milos Ninkovic. However, Arnold coached the Sky Blues through a tough Asian Champions League group, finishing first and defeating defending champions Guangzhou Evergrande 2–1 at Allianz. Sydney progressed to the knockout stages for the first time, losing on away goals to Chinese side Shandong Luneng with Hao Junmin scoring a 90th minute equaliser to finish the Sky Blues continental hopes. This did not affect the momentum however, with Arnold's men going 19 games unbeaten before losing to arch rivals Western Sydney Wanderers in the Sydney Derby. Despite this setback, Sydney FC marched on yet again, winning the Premier's Plate with four games to spare and breaking numerous A-League records, including: most competition points, most wins in a season, fewest goals conceded, most clean sheets and best goal difference. Marquee striker Bobô ended the regular season as top scorer with 15 goals, narrowly missing Marc Janko's record of 16. The club qualified for the 2018 AFC Champions League after finishing first, which was their fourth Asian Champions League campaign. The Sky Blues went on a successful FFA Cup run in 2017, starting with an 8–0 thumping of Northern Territory amateur side Darwin Rovers FC, with Bobô scoring a club record equalling 4 goals in the match. The following round they played NPL2 side Bankstown Berries FC, winning 3–0 in a fairly scrappy match, with goals from Carney, Bobô, and a debut goal from new signing Adrian Mierzejewski in injury time to put them through to the quarter finals. Sydney drew Melbourne City, marking the third battle between the two in the cup. An early goal from Jordy Buijs put Sydney up 1–0, before a second half goal from captain Alex Brosque sealed the win at Leichhardt Oval. In the semi-finals, they faced yet another Melbourne side, with a trip to Lakeside Stadium to play South Melbourne FC booked. The Sky Blues ran out 5–1 winners, with a brace from Bobô sealing their date with destiny in the 2017 FFA Cup Final to play Adelaide United. The final was played at Sydney Football Stadium, only the second time it had hosted an FFA Cup match. The Harbour City Originals opened the scoring on 20 minutes, as Milos Ninkovic latched onto a through ball, before sliding past a defender and poking a shot past goalkeeper Paul Izzo. The slender one-goal lead only had them in front until an equaliser by Nikola Mileusnic got Adelaide back into the game. The game was forced into extra time, before Bobô scored a header on 111 minutes to win the FFA Cup for Sydney FC. The 2017—18 season proved to be successful after the FFA Cup win, with the Sky Blues becoming the first ever club to win back-to-back premierships in the A-League era, and the first in Australian national league history since Melbourne Knights. With Graham Arnold being chosen to take over the Australian national team coaching role after the 2018 World Cup, his time at the club ended when his team were defeated 3-2 by Melbourne Victory, after extra time in a semi-final of the A-League finals series of 2017/18. The primary club colour of Sydney FC is sky blue, which represents the state colour of New South Wales. The secondary club colour is navy blue, with additional contrasting colours of orange and white, however the colour orange does not feature in the club's 2017 redesign of the crest. There is a silver star atop the badge with the numeral three written inside it, representing the number of championships the club has won. It has been the venue for several Australian international matches (notably World Cup Qualifier against Argentina in 1993). The stadium's capacity was stated at 41,159 prior to renovations in 2007, although the attendance of the 2006 A-League grand final exceeded this number by over 500. The currently stated capacity is 45,500. Sydney FC have played matches at other Sydney venues. Parramatta Stadium in western Sydney was the venue for an AFC Champions League match against Indonesian football side Persik Kediri in April 2007 when the SFS was unavailable due to an NRL match being played there. A friendly match against Los Angeles Galaxy was played at ANZ Stadium in November 2007 due to its greater capacity, and drew a crowd of 80,295. However, as of 2012 these districts are now represented in the A-League so such a move would be unnecessary. In December 2011, Sydney played a (2–0 winning) match at Kogarah Oval against Brisbane Roar, as the SFS was unavailable due to concerts being held at the ground that weekend. Sydney FC played at one of their temporary home grounds, Leichhardt Oval, in September 2017 against Melbourne City in the FFA Cup, winning 2–0. Sydney FC's primary training ground is at Macquarie University in North Ryde They also have use of the sports and aquatic centre for post match recovery sessions. Occasionally Sydney FC have been seen after home games having recovery sessions at local beaches such as Coogee Beach, Bondi Beach and Maroubra. As they were the only A-League team from Australia's largest city until 2012, Sydney FC draw support from right across Sydney, and as a result is one of the most heavily supported clubs in Australia. The largest and main supporter group of Sydney FC is known as "The Cove",  and are located at the Paddington (northern) end of Allianz Stadium in bays 22– 26. The name came from the original name given to the colonial settlement of Sydney— Sydney Cove. Cove members attend every home match and also travel as a group around the country to support the team at away matches. As a vocal group, The Cove demonstrates its support by singing football chants, wearing club colours, standing up, waving flags and holding banners. On 7 July 2006, Australian rock singer Jimmy Barnes recorded a club song entitled 'Sydney FC For Me' with 25 members of The Cove singing back-up vocals. It was released prior to the start of the 2006–07 season. Melbourne Victory – The Big Blue – The clash between Australia's two largest cities is perhaps the most historic rivalry in the league, with games between the two clubs often getting physical. Sydney and Melbourne have been rivals on many fronts for over a century. Western Sydney Wanderers – The Sydney Derby – With the introduction of the Wanderers into the competition, Sydney FC now contest a true local derby for the first time. The two teams played their first match on 20 October 2012 at the then Wanderers' home ground, Parramatta Stadium. Sydney FC won the match 1–0 in front of a near-capacity crowd of 19,126 fans. On 15 December 2012 in the following derby, the Wanderers defeated Sydney FC 2–0 away from home; the two teams went on to draw 1–1 at the Wanderers' home ground during their third encounter. On 9 December 2017, Sydney FC had their largest Derby win with a 0–5 win over the Wanderers at ANZ Stadium, Sydney FC lead the head-to-head count with 12 Derby wins compared to the Wanderers' four, with the clubs drawing 6. Sydney FC have scored 40 Derby goals while the Wanderers have scored 21. For a list of all former and current Sydney FC players with a Wikipedia article, see Category:Sydney FC players. Captains by Years (2005–present) A-League games only. On 16 March 2015, Sydney FC inducted eight members into its inaugural Hall of Fame at the clubs' 10-year anniversary lunch. Additional inductees are added to the hall of fame at the annual end of season Sky Blue Ball. Alex Brosque currently holds the team all-time record for number of total games played with 263 matches, including a club record 220 league matches. Terry McFlynn has the second most appearances of all-time with 214 matches and Rhyan Grant has the third most appearances for the club with 191 matches. Sydney FC's all-time highest goalscorer in all competitions is Alex Brosque with 82 goals. Former player Bobô has scored the second most goals for the club with 52 and current coach Steve Corica is third on the list with 31 goals. Sydney FC's highest home attendance for a league match was 41,213, recorded on 18 October 2014 at the Sydney Football Stadium against the Western Sydney Wanderers in the Sydney Derby. The highest home attendance in any fixture is 80,295 recorded on 27 November 2007 for a friendly match against LA Galaxy at Stadium Australia. Stephen Christopher CoricaIPA: [stiːv ˈkorika] born 24 March 1973 in Innisfail, Australia) is a retired Australian football (soccer) player and the current manager of Sydney FC in the A-League. A technically gifted and skillful attacking midfielder during his playing career, he represented Australia more than thirty times and captained Sydney FC to a domestic double. Since retiring in 2010, he was an assistant and youth coach at Sydney FC, before being appointed Head Coach in May 2018. Mark Daniel Milligan is an Australian professional footballer who plays as a defensive midfielder for Scottish Premiership side Hibernian and captains the Australia national football team. Starting his career originally as a defender, Milligan has spent much of his later career playing as a midfielder. He is the current captain of the Australian National team, succeeding Mile Jedinak. Ufuk Talay is an Australian soccer coach and former player. Talay was suited to play in central midfield and was known for his good distribution and on-field vision. He is currently assistant coach at Sydney FC. Alex Jason Brosque is an Australian professional footballer who is the current captain of A-League club Sydney FC. He plays primarily as a striker but played predominantly as a midfielder in central midfield during his time in Japan. Deyvison Rogério da Silva, commonly known as Bobô, is a Brazilian footballer who plays for Alanyaspor in the Süper Lig as a striker. Viking Park is an 8,000 capacity multi-sport stadium located in the Tuggeranong Valley suburb Wanniassa, Canberra, Australia. It has a rectangular playing surface which is used primarily to host rugby union matches but additionally has hosted rugby league, Association football and baseball. It is home to the Tuggeranong Vikings and all matches of the ACTRU Premier Division finals, the Canberra Vikings who compete in the National Rugby Championship and the Tuggeranong Vikings Baseball Club. Viking Park is also regularly utilised by ACT-based Super Rugby club The Brumbies, who use the venue for training and who used to play home matches in the Australian Provincial Championship there. The 2007–08 season is Sydney FC's third season of football (soccer) in Australia. The club finished seventh in the A-League Pre-season Challenge Cup and competed in the A-League 2007-08 season. Sebastian "Seb" Ryall is an Australian professional football (soccer) player who plays as a defender, most recently for Sydney FC. The 2009–2010 season was Sydney FC's fifth consecutive season in the A-League since its inception. It was an historic year for the club taking out the domestic double by winning the premier's plate and the championship during the season. This article is about the History of Sydney FC, a football (soccer) club based in Sydney, Australia and plays in the A-League. For the main article of the club, see Sydney FC. The 2010–11 season was Sydney FC's sixth consecutive season in the A-League since the competition's inception. The club will compete in the 2011 AFC Champions League after finishing premiers and champions in the 2009–10 A-League. In the preseason, Sydney hosted the inaugural Sydney Festival of Football, which saw competition between three clubs from different European leagues and Sydney FC. Western Sydney Wanderers Football Club is an Australian professional soccer club based in the Western Sydney region of Sydney, New South Wales. It competes in the country's premier soccer competition, the A-League, under licence from Football Federation Australia (FFA). The club has established itself as a major force in both Australia and Asia, having won one A-League Premiership and an AFC Champions League title in its short history. The 2015–16 A-League was the 39th season of top-flight soccer in Australia, and the 11th since the establishment of the A-League in 2004. Melbourne Victory were both the defending A-League Premiers and Champions. The regular season schedule was released on 29 June 2015. The season commenced on 8 October 2015 and concluded on 10 April 2016. The finals series commenced on 15 April 2016 and concluded with the 2016 Grand Final, held on 1 May 2016. Jason Kato Geria is an Australian professional football (soccer) player who plays as a defender for JEF United Chiba in the J2 League and for the Australia national team. The 2015–16 Sydney FC season was the club's 11th season since its establishment in 2004. The club participated in the A-League for the 11th time, the FFA Cup for the 2nd time, as well as the AFC Champions League for the 3rd time. The 2016 FFA Cup Final was the 3rd final of the premier association football knockout cup competition in Australia. The match was held on 30 November 2016 at AAMI Park. Melbourne Victory were the defending champions, but were defeated 2–0 by Melbourne City in the semi-finals. The other team to qualify for the Final was Sydney FC, who defeated Canberra Olympic 3–0. The 2018 FFA Cup Final was the fifth final of the FFA Cup, Australia's main football cup competition. The match was contested between Adelaide United and Sydney FC, in a rematch of the 2017 FFA Cup Final which Sydney won. Coopers Stadium in Adelaide hosted the game. 1 2 "About Us". Sydney FC. Retrieved 5 August 2014. ↑ "Sydney Football Club Pty Ltd ACN 110 877 668". Australian Securities and Investments Commission. Retrieved 5 August 2014. ↑ "A-League owners to be offered far longer licences by Football Federation Australia". www.adelaidenow.com.au. News Corp Australia. 28 October 2013. Retrieved 2 April 2014. ↑ "Australian Stadiums: Aussie Stadium". Austadiums. Retrieved 22 December 2006. ↑ "Sydney FC emerging as new league's glamour club". The Sydney Morning Herald. 27 October 2004. Retrieved 22 December 2006. ↑ "Soccer NSW announces bid for new national league". Soccer NSW . 7 April 2004. Archived from the original on 18 September 2006. Retrieved 23 December 2006. ↑ "Kewell major player behind Sydney team: report". The Sydney Morning Herald. 9 September 2004. Retrieved 23 December 2006. ↑ Smith, Peter (21 July 2004). "ASA delighted with number of bids for new league". Football Federation Australia . Archived from the original on 18 September 2006. Retrieved 23 December 2006. ↑ "ASA picks Soccer NSW". The World Game . Special Broadcasting Service. 10 September 2004. Archived from the original on 11 October 2007. Retrieved 23 December 2006. ↑ Hall, Matthew (10 October 2004). "Harry now a Central figure". The Sun-Herald . Retrieved 23 December 2006. ↑ "Birth of Sydney FC is a magical moment". Football Federation Australia. 1 November 2004. Archived from the original on 12 September 2006. Retrieved 23 December 2006. ↑ "NSW 'cut ties' with new club over Lowy". The Sydney Morning Herald. 12 December 2004. Retrieved 1 January 2013. ↑ "Sydney FC squad list". Sydney FC. 23 February 2005. Archived from the original on 24 August 2006. Retrieved 23 December 2006. ↑ "Sydney FC starts with emphatic 6–1 win over Manly". Sydney FC. 6 April 2005. Archived from the original on 24 August 2006. Retrieved 23 December 2006. ↑ "Petrovski and Carney score twice in Sydney's 7–1 win". Sydney FC. 12 April 2005. Archived from the original on 24 August 2006. Retrieved 23 December 2006. ↑ "Talay's lone goal gives Sydney 1–0 win in Dubai". Sydney FC. 20 April 2005. Archived from the original on 24 August 2006. Retrieved 23 December 2006. ↑ "Zdrilic goal gives Sydney 1–0 win over Al Jazira". Sydney FC. 20 April 2005. Archived from the original on 24 August 2006. Retrieved 23 December 2006. ↑ "Yorke completes trifecta for Sydney FC". The Sydney Morning Herald. 18 April 2005. Retrieved 23 December 2006. ↑ "Steve Corica wonder goal gives Sydney a 3–2 win". Sydney FC. 2 June 2005. Archived from the original on 24 August 2006. Retrieved 23 December 2006. ↑ "Ward comes off bench to seal Perth win". Football Federation Australia. 14 August 2005. Archived from the original on 10 September 2006. Retrieved 23 December 2006. ↑ "Littbarski quits, blasting club 'lies'". The Age. Melbourne: Fairfax Media. 4 May 2006. ↑ "Yorke confirms Sunderland move". The Sydney Morning Herald. 31 August 2006. Retrieved 16 July 2015. ↑ "Butcher signs two-year deal with Sydney". The Scotsman. 17 May 2006. Retrieved 16 July 2015. ↑ "FC Won't Appeal Salary Cap Sentence". ABC News. Australian Broadcasting Corporation. 4 January 2007. ↑ "Butcher gets chop from Sydney FC". The Sydney Morning Herald. 7 February 2007. Retrieved 16 July 2015. ↑ "Culina is sacked, Kosmina is back". The Sydney Morning Herald. 23 October 2007. Retrieved 16 July 2015. 1 2 "Players on notice as Sydney sign star trio". The Sydney Morning Herald. 3 March 2008. Retrieved 16 July 2015. ↑ "Musialik signs with Sydney FC". ESPN FC. 12 March 2008. Retrieved 16 July 2015. ↑ Cockerill, Michael (2 February 2009). "A scapegoat is dumped but the big egos remain". The Sydney Morning Herald. Retrieved 9 December 2015. ↑ "Sydney FC confirm Lavicka appointment". Wide World of Sports. Nine Network Australia. 4 February 2009. Archived from the original on 22 July 2015. Retrieved 16 July 2007. ↑ "Time right for teary Corica". The Courier-Mail. News Limited. 10 February 2010. Retrieved 17 July 2015. ↑ "Slovakia International Karol Kisel to leave Sydney FC". Fox Sports. 18 March 2010. Retrieved 17 July 2015. ↑ "Dutch switch for new Heart Simon". Australian FourFourTwo. Haymarket Media. 31 March 2010. Archived from the original on 4 April 2010. Retrieved 17 July 2015. ↑ "Heart sign Aloisi". Australian FourFourTwo. Haymarket Media. 29 March 2010. Archived from the original on 1 April 2010. Retrieved 17 July 2015. ↑ "Melbourne Heart sign Clint Bolton, chases John Aloisi". The Herald Sun. 17 February 2010. Retrieved 17 July 2015. ↑ "Sydney FC signs Brett Emerton for 3 years". Sydney FC. 26 August 2011. Retrieved 18 July 2015. ↑ "Socceroos star Brett Emerton will officially become Sydney FC's new marquee player on Thursday". Fox Sports. 25 August 2011. Retrieved 18 July 2015. ↑ "Sydney FC parts ways with Lavicka". The World Game. Special Broadcasting Service. 3 February 2012. Retrieved 18 July 2015. ↑ "Sydney FC announce they will part ways with coach Vitezslav Lavicka at the end of the current A-League season". Fox Sports. 3 February 2012. Retrieved 18 July 2015. ↑ "A-League club Sydney FC name Ian Crook as new head coach after missing out on Tony Popovic". Fox Sports. 14 May 2012. Retrieved 18 July 2015. ↑ "Del Piero agrees to finalise Sydney FC contract". Football Federation Australia. Archived from the original on 8 September 2012. Retrieved 31 August 2012. ↑ "Del Piero to sign with Sydney FC". The Sydney Morning Herald. Retrieved 31 August 2012. ↑ "Ciao 4m Del Piero signs for two years". The Sydney Morning Herald. Retrieved 6 September 2012. ↑ "Cook resigns as Sydney FC coach". ABC News. Australian Broadcasting Corporation. 11 November 2012. Retrieved 18 July 2015. ↑ "Sydney FC Coach Ian Crook resigns". The Roar. 11 November 2012. Retrieved 18 July 2015. ↑ "Sydney FC sign Farina as head coach". The Leader. Fairfax Regional Media. 28 November 2012. Retrieved 18 July 2015. ↑ "Sydney FC sign Socceroo captain Lucas Neill". Sydney FC. 17 February 2013. Retrieved 18 July 2015. ↑ "Lucas Neill signs with Sydney FC". Wide World of Sports. 16 February 2013. Archived from the original on 22 July 2015. Retrieved 18 July 2015. ↑ "Sydney FC sign experienced Tiago Calvano". Sydney FC. 18 January 2015. Retrieved 18 July 2015. ↑ "Sydney FC to become first A-League side to tour Europe after confirming pre-season matches in Italy". ABC News. Australian Broadcasting Corporation. 13 July 2013. Retrieved 22 July 2015. ↑ Bossi, Dominic (5 July 2013). "Sydney FC set for pre-season Italian jaunt". The Sydney Morning Herald. Retrieved 22 July 2015. ↑ Hassett, Sebastian (8 February 2014). "Sydney FC sink to new low as fans turn up heat on Frank Farina". The Sydney Morning Herald. Retrieved 22 July 2015. ↑ "Sydney FC's darkest night". The Roar. 9 February 2014. Retrieved 22 July 2015. ↑ "Sydney FC Fan Forum – Approaching the Crossroads". fromthestandsal.com. 18 February 2014. Retrieved 22 July 2015. ↑ "Frank Farina sacked as Sydney FC A-League coach". ABC News. Australian Broadcasting Corporation. 23 April 2014. Retrieved 22 July 2015. ↑ Ray Gatt (23 April 2014). "Sydney FC sacks coach Frank Farina". The Australian. Retrieved 22 July 2015. ↑ "Sydney FC 2 – 1 Adelaide United". theffacup.com.au. Retrieved 22 November 2017. ↑ Maasdorp, James (16 January 2015). "Brett Emerton announces retirement from football, will play last A-League game for Sydney FC against Mariners". ABC News. Australian Broadcasting Corporation. Retrieved 15 September 2015. ↑ Cockerill, Michael (6 April 2014). "Sydney FC veteran Terry McFlynn to announce retirement". The Sydney Morning Herald. Retrieved 15 September 2015. ↑ Dejan Kalinic (28 April 2014). "Alessandro Del Piero leaves Sydney FC". goal.com. Retrieved 15 September 2015. ↑ Hassett, Sebastian (12 May 2014). "Graham Arnold makes Bernie Ibini his first Sydney FC signing". The Sydney Morning Herald. Retrieved 15 September 2015. ↑ "Sky Blues sign Brosque as Aussie marquee". Sydney FC. 27 June 2014. Retrieved 15 September 2015. ↑ "Sydney FC sign Austrian star as marquee". A-League. 31 July 2014. Retrieved 15 September 2014. ↑ "Brosque to skipper Sydney". Australian FourFourTwo. Haymarket Media. 8 October 2014. Retrieved 22 July 2015. ↑ "Sky Blues Unbeaten Streak Comes to an End". Sydney FC. 4 December 2014. Retrieved 15 September 2015. ↑ "Sydney FC Play Out 3–3 Thriller". Sydney FC. 13 December 2015. Retrieved 15 September 2015. ↑ David Weiner (7 January 2015). "A-League 2015: As the Asian Cup break looms, we review each club's season so far". Fox Sports. Retrieved 15 September 2015. ↑ Hassett, Sebastian (11 January 2015). "New signing Jacques Faty joins his cousin Mickael Tavares at Sydney FC". The Sydney Morning Herald. Retrieved 15 September 2015. 1 2 "Sydney FC Season 2014/15". Sydney FC. 19 May 2015. Retrieved 15 September 2015. ↑ "Dominant Sydney FC Seal Grand Final Berth". Sydney FC. 9 May 2015. Retrieved 15 September 2015. ↑ "Sydney FC Go Down in Hyundai A-League Grand Final". Sydney FC. 17 May 2015. Retrieved 15 September 2015. ↑ "Alex Wilkinson signs with Sydney FC". ESPN.com.au. Retrieved 27 April 2017. ↑ Hassett, Sebastian (12 May 2016). "Melbourne City left-back Michael Zullo agrees two-year deal with Sydney FC". The Sydney Morning Herald. Retrieved 27 April 2017. ↑ Bossi, Dominic (12 July 2016). "Sydney FC signs Socceroo Joshua Brillante from Serie A club Fiorentina". The Sydney Morning Herald. Retrieved 27 April 2017. ↑ "sydney sign bobo – Google Search". Google.co.uk. Retrieved 27 April 2017. ↑ Cherny, Daniel (30 November 2016). "FFA Cup final: as it happened". The Sydney Morning Herald. ↑ "Sydney FC A-League records broken 2016-17 season - Fox Sports". www.foxsports.com.au. ↑ "Latest News". Sydney FC. ↑ "Ninkovic Clean Sweeps Awards". Sydney FC. ↑ Patrick Galloway (16 May 2018). "Steve Corica New Sydney FC Head Coach". abc.net.au. Retrieved 27 August 2018. 1 2 "Sydney FC Confirm Corica as Arnold Replacement". theworldgame.sbs.com.au. 16 May 2018. Retrieved 27 August 2018. ↑ "Defenders Jordy Buijs and Luke Wilkshire finish up". themorningbulletin.com.au. 10 May 2018. Retrieved 27 August 2018. ↑ "Sydney FC sign Trent Buhagiar from Central Coast Mariners with Matt Simon going the other way". dailytelegraph.com.au. 10 May 2018. Retrieved 27 August 2018. ↑ "Sydney FC Skipper commits to another season". aleague.com.au. 16 May 2018. Retrieved 27 August 2018. ↑ "Sydney FC agree Bobo & Mierzejewski transfers". sydneyfc.com. 7 July 2018. Retrieved 27 August 2018. ↑ "Sydney FC Reveal New Logo & Announce 10 Year Lease". Sydney FC. ↑ "Sydney FC And Children's Medical Research Institute (CMRI) Form Community Partnership". CMRI. Archived from the original on 27 February 2012. Retrieved 24 February 2012. ↑ Huxley, John (2 March 2006). "They're not just dribblers – these Coves are committed". The Sydney Morning Herald. Retrieved 5 August 2014. ↑ "Barnesy and The Cove record Sydney FC club song". Sydney FC. 7 July 2006. Archived from the original on 21 August 2006. ↑ Bossi, Dominic (14 February 2015). "History fuels the rivalry between Sydney FC and Melbourne Victory, says Mark Milligan". The Sydney Morning Herald. Retrieved 27 April 2017. ↑ "Sydney FC Team". Sydney FC. ↑ "Sydney FC Promote Five Youth Stars". Sydney FC. ↑ "Sydney inaugurate academy". The World Game. Special Broadcasting Service. Archived from the original on 24 December 2009. Retrieved 5 August 2014. ↑ "Sydney FC inducts greats into Hall of Fame". A-League. Retrieved 16 March 2015. ↑ "Dimitrijevic Sweeps Sky Blue Ball". sydneyfc.com. Retrieved 10 May 2018. ↑ Tickner, Justin. "Sky Blues prevail in fiery Sydney derby". Ultimate A-League. Retrieved 24 July 2015. ↑ "Asia Football / Soccer Rankings - Football Database" (PDF). 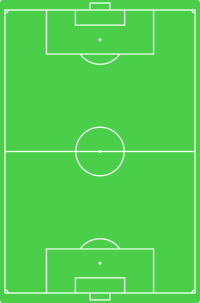 footballdatabase.com. Retrieved 2018-07-10. Wikimedia Commons has media related to Sydney FC .